At South Lakewood Dental, it is important to us that you have a comfortable experience at our office. We understand that many patients have questions about the dental process prior to visiting us, so we’ve compiled this list of some of the most frequently asked questions. We recommend visiting twice yearly for an examination and cleaning. This allows us to monitor the health of your teeth and gums to find any potential problems like tooth decay or gum disease early. What happens during my initial visit? You can always expect to be greeted by a welcoming staff and friendly doctor at every visit. On your first visit, we will review your full medical and dental history. We’ll then perform a thorough dental exam to evaluate your teeth and gums. What if I’m afraid of visiting the dentist? We understand that many people have fear or anxiety about dental visits. Our goal is to create a relaxing and comfortable environment where you feel safe receiving dental care. If necessary, we can discuss pre-treatment options that can relax you while you are sitting in the dental chair. You can rest assured that we will do everything we can to make sure anxiety doesn’t compromise your oral health. What makes your office different from other dental offices? 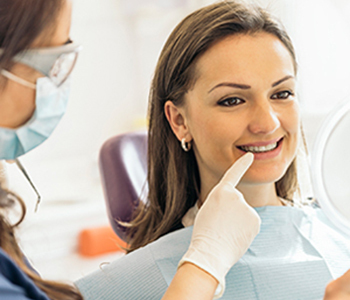 Our Lakewood dental center takes a holistic approach to dentistry, one that focuses on the connection between the health of the mouth and the body. We also believe that oral health is the key to maintaining your physical wellbeing. We’ll work with you for resources on proper nutrition, smoking cessation, and other daily lifestyle habits that will keep you healthy. If you would like to learn about holistic dentistry call our Lakewood office at (855) 233-0023 to schedule your consultation.